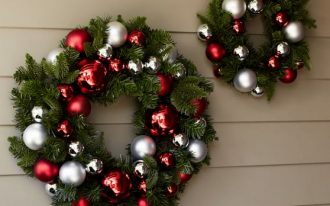 Stone is a beautiful gift from Earth and has been used as one of basic materials for any constructions, including living spaces (homes and apartments). 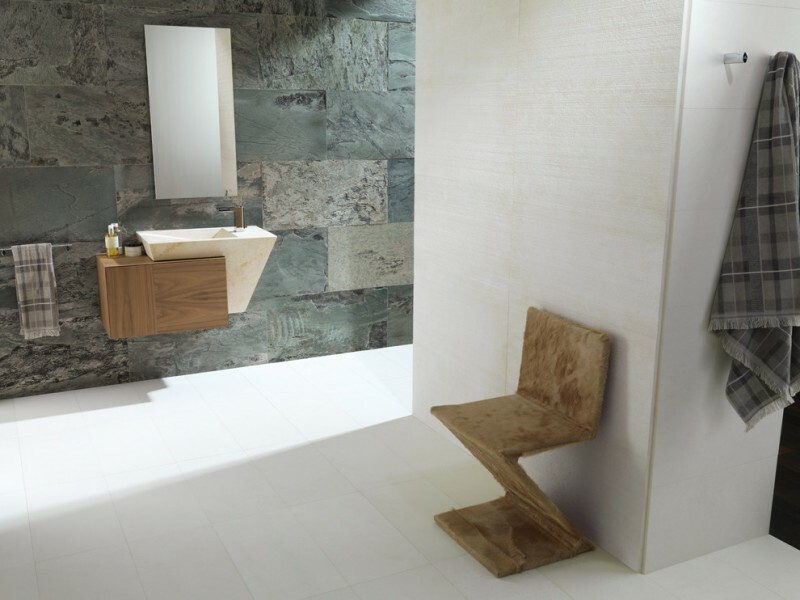 Stone bathrooms are just the few examples how the material can be flexibly used for any space of home. 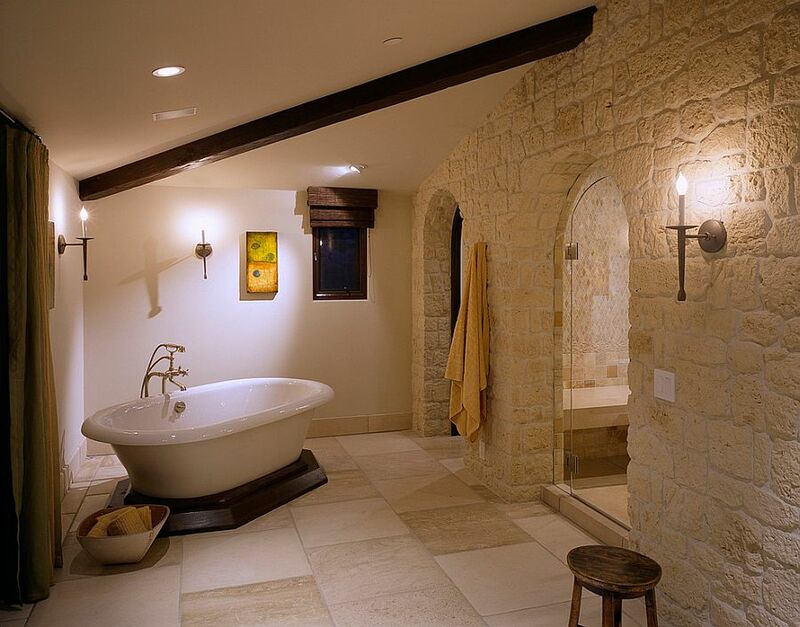 The stone addition in a bathroom can make the bathroom natural and elegant at the same time. 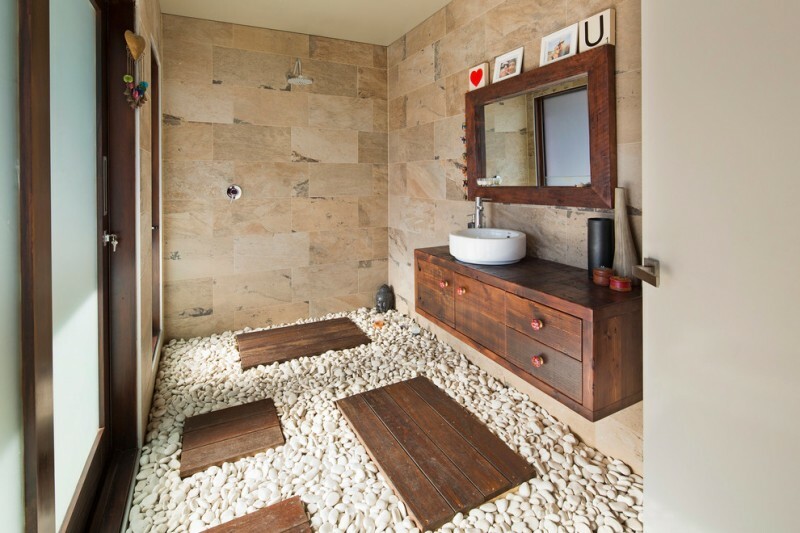 Interestingly, the stone can also bring a rustic appeal to the bathroom. 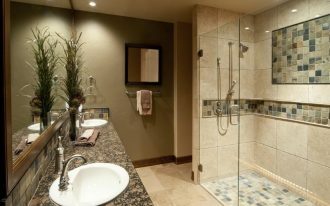 Check out these ten inspiring ideas of stone bathroom you may want to adopt to your next bathroom remodel project. Quality depends on stone and other supporting elements like wood material. 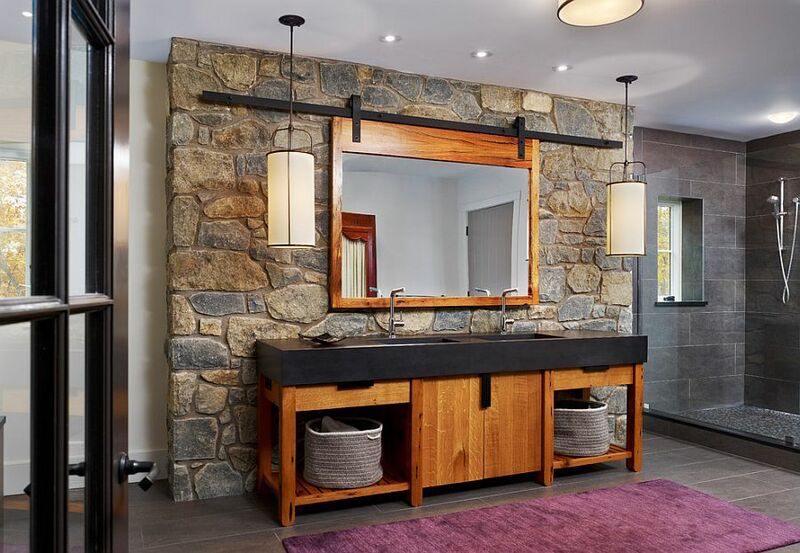 The designer wants to highlight the stone wall that perfectly meets the entire clean line and contemporary interior. 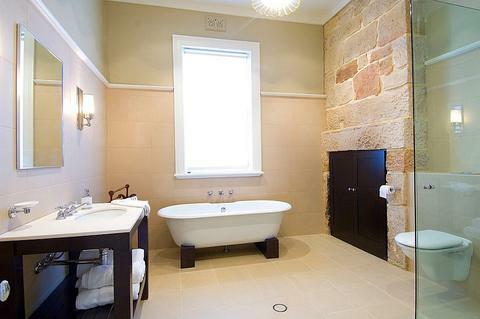 An inspiring stone bathroom in warm beige shade. The whole interior is trendy. 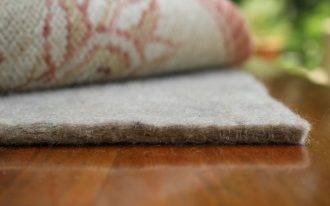 The small stone floors offer unique look and texture, potentially being the best alternative of natural massage therapy for users’ footsteps. The dark wood furnishings, in addition, are obviously displaying the strong character of natural dark wood material. Exposed stone wall here is just a wall accent. It gives an obvious contrast against the black cabinet. Its color shade is made in good balanced when combined with the rest of walls, achieving a cohesive and warm look. The dark stone wall accented with a center shuttered window is a smart idea to highlight this corner. The arched ceiling and skylights visually add a dramatic appeal. Awesome! The space is very modern. 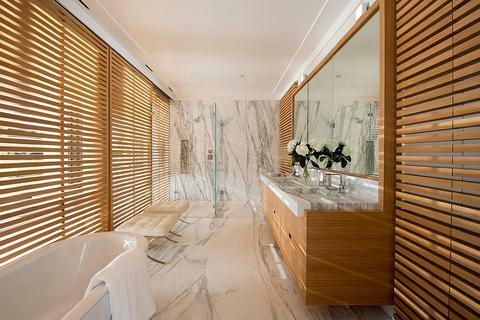 Coated white marble floor and wall here add luxury and bright look, while wood lattice panels give natural and warm visualization. A perfect combination! Granite tiled wall with rough texture really makes this white bathtub significantly obvious, giving a beautiful contrast to this gray room. 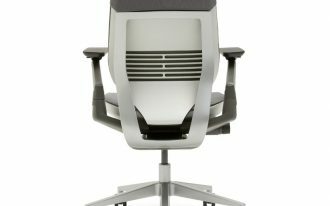 Overall, the space is elegant and clean look as well. Rough and natural. The stone arrangement creates the original look of the stones themselves. They’re just implemented in a modern style. 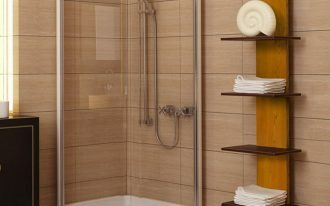 They look modern after featured with other modern supporting pieces such as waterfall shower head, corner wood bench, and tiled floors & walls. 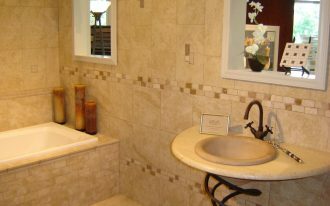 This means, all kinds of natural stones are available for any bathroom styles. The shade and texture of stone exactly give the visual warmth and Mediterranean vibe. Semi corner bathtub placement here isn’t only artistic, but it’s also unique with the light illuminates only on that spot. What a great idea! 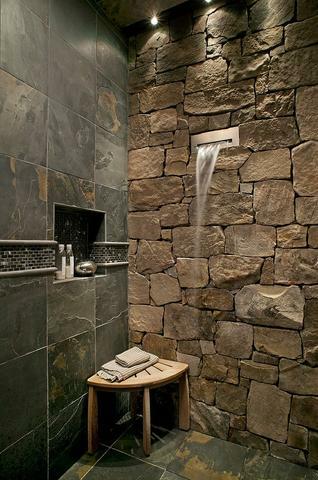 Modern rustic bathroom design with natural stone wall. The designer selects darker natural elements such as stones and woods to enrich the original natural tone and texture, creating rustic look. 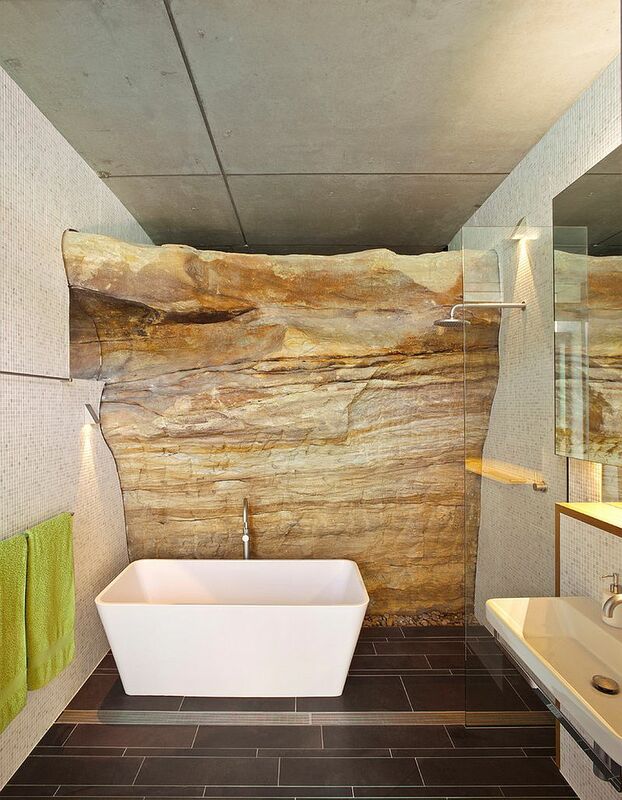 The rock wall really exposes the original shade and texture, opposing against all modern pieces in this bathroom. This idea uniquely implements a mixture of modern and natural elements at the same time.